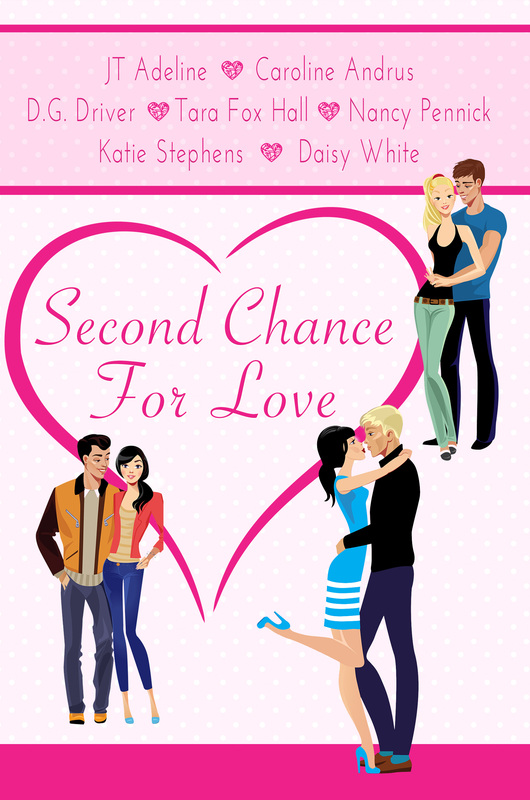 Final Interview With Second Chance for Love Authors! Welcome to the seventh and final post in a series of interviews with the authors of the Second Chance for Love anthology. In honor of Mother’s Day, our publisher, Melange Books, LLC, will have the eBook available for free on Amazon from May 7-9! Today, I’m going to interview … ME!! If you discovered a sealed box with “Katie’s memories” scribbled on the side, you’d find a lifetime of partially completed stories, plays and musicals. Katie Stephens has opened that box and writes both non-fiction and fiction, where she happily experiments with all genres. Although her grown children are scattered east and west across the country, she lives solidly in mid-America with two kitties and a husband who keeps asking when she’s really going to retire. One of the questions I asked my fellow authors was to choose a favorite passage from any book they have published. This section comes from my story Faceless, about a circus sideshow freak. I eat my breakfast. The tumors inside my mouth and esophagus make meals . . . unpleasant. “Can I ask you a question?” Tiny asks. Tiny blinks, but keeps his eyes steady on mine. I turn in a slow circle. The beauty of the day dazzles me. People buzz back and forth, worker bees swarming before gathering the honey for their hive. Water spraying from a hose glistens with rainbows in the early sunlight, sequined outfits drape nearby. On the midway, multicolored game booths stand as soldiers, awaiting every fool in town to try their luck. I stare at the sideshow tent. My eyes water, changing the glittering view from crystal clear to an impressionist painting. Now I lay me down to sleep . . . I pray the Lord my soul to keep . . . If I should die before I wake . . . I pray the Lord my soul to take. Question: Have you ever had the feeling you were being watched? Question: If you could have any superpower, what would it be? Katie: Invisibility! I’m an observer, but many people are uncomfortable if you stare at them too long. Well. Enough said. Question: Tell us something nobody knows about you. Question: What do you miss most about childhood? Katie: The simplicity. I grew up in a time where is was fashionable for parents to sit on the porch after dinner and visit with the neighbors while the kids played on the lawn. Catching fireflies on a summer evening. Going to drive in movies. Actually getting to know your friends face-to-face. Holding hands with Rocky (third grade). Question: What will you do if you have a time machine? Katie: I’d be hopping around from place to place and time to time. History is so interesting–I’d love to explore the past! Who says love doesn’t come around again? Second Chance for Love: Seven stories of single parents finding love, free Mother’s Day weekend (May 7-9) on Amazon!! May 7, 1991. I chose that date for my daughter to be born, mostly because I had gestational diabetes and my obstetrician wouldn’t allow her to go to the expected full term date of Mother’s Day. Kate was full of surprises and independent from the moment she entered this world. Brother Stephen wasn’t sure what was in my tummy, but he decided he’d better take care of his little sister. Oh, they had their moments of squabbling, but not as bad as it could have been. They adored each other and still do. Kaitlin, Katie, Kate, Katie-Kate. So many nicknames as she went from a small child and through elementary school. I have to admit, I stole one from her and one from her brother–my tribute to them both. Every year, I would watch her and wonder what the future would bring. Kate brought many things into my life: beauty, kindness, love. A compassion for others, human and animal. She can’t stand spiders nor most insects, but … we all have one flaw or another. I keep telling her that spiders eat the bad bugs that will bite her. Right? Now, approaching the celebration of her quarter century, Kate has met the love of her life–Karl. K & K, we like to call them. They’re amazing for each other, already have their life planned. The next chapter begins June 30, 2016. Happy Birthday, my darling daughter. I love you so much. Exclusive Author Interview with Tara Fox Hall! This is the sixth in a series of interviews with fellow authors of the Second Chance for Love anthology. In honor of Mother’s Day, our publisher, Melange Books, LLC, will have the eBook available for free on Amazon from May 7-9! That’s starting today!! I’m going to tell you about the irresistible and capable Tara Fox Hall! 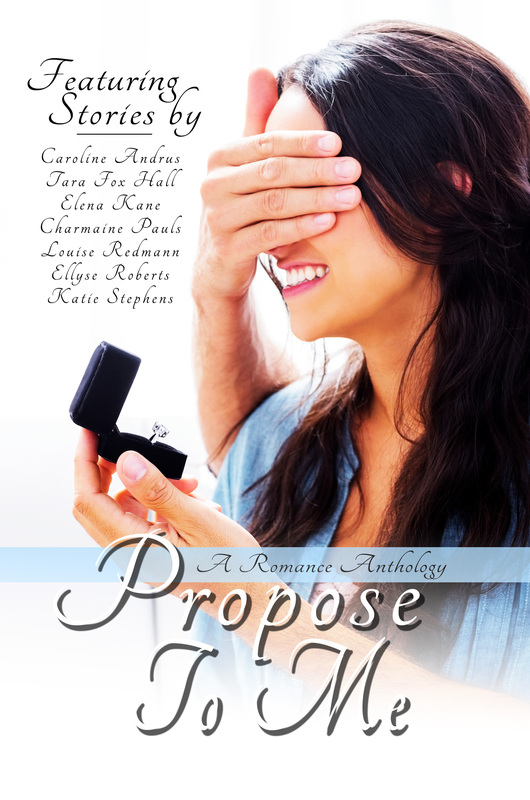 I’ve been priviledged to share another anthology with Tara, Propose To Me. Here is a blurb from her story, One Perfect Moment. 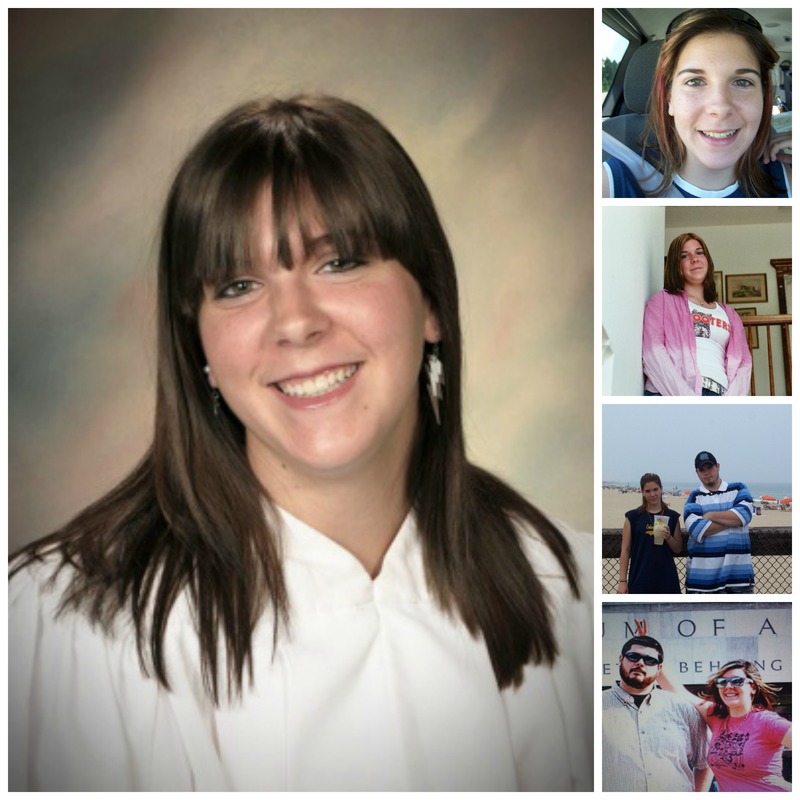 Exclusive Author Interview with Caroline Andrus! The burning question of the day: Who designed our cover? 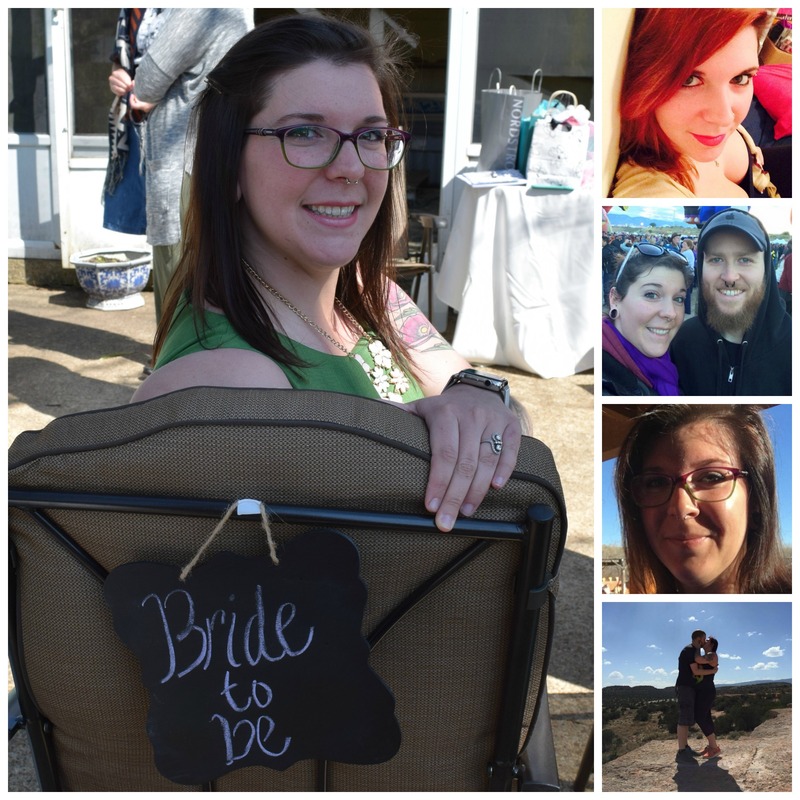 In the fifth post of this series, you’re going to meet not only a fellow author of the Second Chance for Love anthology, but also its cover designer! And, in honor of Mother’s Day, our publisher, Melange Books, LLC, will have the eBook available for free on Amazon from May 7-9! I present to you the enchanting and brilliant Caroline Andrus! Caroline Andrus was born and raised in the St. Paul suburbs where she now lives with her husband, two daughters, and Henry McCoy—her cat, who is actually a wild cougar trapped in a housecat’s body. She divides her time between writing, Facebook, designing, and managing her household. In her spare time, she enjoys reading, rocking out to the radio, and gardening (but only in the hot summer months.) She is passionate about both reading and writing teen fiction, and is pretty sure she will forever be eighteen at heart. Katie: Would you share a special moment from a story you’ve written? Caroline: This is one of my favorite parts from my story in Second Chance For Love. She dropped to her hands and knees on the floor, searching for the tiny metal piece. Simon quickly joined her, his hands working across the plush cream colored carpet beneath them. “Aha!” he cried triumphantly, his hand in a tight fist shot into the air. “Thank you.” Her voice was a breath as she reached her hand out, palm open. Simon set the earring back gently on her palm, then with his other hand, closed her fingers around it. “You’re welcome,” he said, his amber eyes staring deep into her blue ones. There was a knock at the door and Rebecca started at the sound. She smiled apologetically and let him help her to her feet. As she turned her back on him to answer the door, Simon said something that caused her to turn back. Katie: Do you believe in love at first sight? Caroline: I don’t believe in LOVE at first sight, but I do believe in LUST or ATTRACTION at first sight, which can turn into LOVE. I believe to truly love someone, you have to know them, therefor, love at first sight doesn’t fit. When it comes to reading material, 99.9% of the time I hate “instalove” – where the couple falls in love instantly – but I’m willing to suspend believe when there’s a well thought out supernatural explanation. I’m a sucker for soulmates. Katie: If you could go to the past or future, where would you stay and why? Caroline: Can’t I do both??? I love the idea of visiting the past. I love the beauty, elegance, and simplicity of life before smart phones, automobiles and television. I fantasize about living in a little house in the middle of nowhere, living off the land, just my family and me, and a bunch of books. But…. I need indoor plumbing. And the Internet. On the other hand, I’d love to visit the future and see what major changes have occurred. I mean, think about what life was like only a hundred years ago. I can’t even imagine the technological feats we’ll have accomplished in another hundred years. If I got to the future and robots had taken over all manual labor, giving humans more leisure time, yeah, I’d probably stay. Katie: If you were to get a permanent tattoo done, what would it be and where? Caroline: I’m terrified of needles. When I was seventeen I was convinced having my belly button pierced was an awesome idea. My mom agreed to take me and pay for it to be done as my birthday gift that year. I blacked out during the piercing process. Within a year later it was infected and then closed. If I ever got over my fear… In the past few years I’ve imagined myself with the Deahtly Hallows symbol from Harry Potter right tattooed near my collar bone area, sort of below my shoulder. I found an awesome photo of a girl who had that done on Pinterest. If I didn’t have the Deathly Hallows done, it would be something else relatively small. I love the look of tattoos when done well and with meaning, but I’m not sure they’re for me, mostly due to my needle fear. Katie: What Internet site do you surf to the most? Caroline: Hi, my name is Caroline, and I’m an addict. A Facebook addict. In order to get anything done, I have to make sure to stay OFF Facebook. I also spend a good amount of time on Goodreads and also in Gmail. But really, Facebook is my downfall. Katie: What do you miss most about childhood? Caroline: Simplicity. No responsibilities. The “good old days” are what I miss most. I had an AMAZING childhood. My mom was an in home daycare provider, so I was never without kids to play with. Even when the daycare kids weren’t there, I’m the 3rd of 4 kids. My childhood was loud, and playful, and just fun. Summer vacations were spent driving the four or so hours to Hackensack, MN in the back of my dad’s truck. No seat belts, just us kids sprawled in the back with blankets and a topper on the back of the truck. You could never get away with that these days! We’d stay at a resort on Birch Lake, my dad’s siblings and their families, plus my grandma and her twin sister, all stayed in cabins at the resort. It was a week or two of lazy days at the beach, on the boat, or in the cabins playing cards. Now that we’re all grown, these family reunions don’t happen anymore. Katie: At the beach would you rather play in the sand, or play in the water? I’m not a fan of water, unless it’s in a pool. I attribute this to a near drowning incident when I was about three that I don’t remember. Apparently, I got out of my dads boat, gave my sister the life jacket I’d been wearing so she could have her turn on a boat ride, and I must have fallen off the dock. My mom, who was in the boat, says they were already across the lake and she was frantically waving her arms and yelling at the family on shore, but nobody realized at first I was under water. She says finally my teenage cousin Sarah realized what had happened and jumped in after me. I didn’t hear that story until I was probably in my early teens, but my fear of water predated that, so I’m going with PTSD. Katie: Do you prefer card games or board games? Caroline: Both! If I had to choose, I’d pick board games. I love modern tabletop games like Pandemic, Ticket to Ride, Legacy: The Testament of Duke de Crecy and so on. I can’t afford to spend money on board games very often, so I’m fortunate to have friends who are constantly acquiring new games to introduce us to. The most recent one we played was Tokaido, a game of traveling across Japan and earning points for all of the “experiences” you have on your journey. I can’t wait until my kids are old enough to play the kinds of board games I love! Exclusive Author Interview with Daisy White! Happy Cinco de Mayo!! I have another author to introduce to you on this festive day!! This is the fourth post in a series of interviews with fellow authors of the Second Chance for Love anthology. In honor of Mother’s Day, our publisher, Melange Books, LLC, will have the eBook available for free on Amazon from May 7-9! Today, I’m going to interview the charming and clever Daisy White! Daisy White is a writer, mum, vintage lover, and award-winning literary entrepreneur. As the founder and owner of Daisy White’s Booktique (a pop up independent bookshop with a twist!) she has won business awards, been to speak at Number 10, Downing Street, and continues to support both authors and readers in their creative journeys. Her writing reflects her years spent travelling, and Daisy has had articles and letters published in various National and local magazines and papers. Born in the UK, Daisy spent time as child living in Wichita, Kansas, and has fond memories of attending school there (the library was huge!) She now lives in Brighton, on the South coast of England with her husband and two children, but still returns regularly to visit the USA. In her spare time, Daisy competes in ‘mud races’ for charity. These include Hellrunner, Kamikaze, and Downland Devil, and if there is a frozen lake to be swum that is just perfect! With her children, Daisy also enjoys browsing the lanes of Brighton for vintage hats and China, and taking long family bike rides along the beach.‘Taming Tigers’ is her YA debut for Fire and Ice (Melange Books). Katie: Would you share a special moment from another story you’ve written? Rose would have said I look like a tart, but she can’t say that now can she? I’m over it and ready to get on with my life. flicking a last glance in the mirror as I whirl from the room. Katie: List five adjectives to describe yourself. Katie: What are your pet peeves or interesting things about you that you dislike? Katie: Name one of your favorite things about someone in your family. Daisy: My kids are crazy, and always coming up with cool and crazy things to do. Katie: Tell us about a unique or quirky habit of yours. romantic-comedy, action film, or science fiction? Exclusive Author Interview with Nancy Pennick! Are you ready to meet more authors? This is the third post in a series of interviews with fellow authors of the Second Chance for Love anthology. In honor of Mother’s Day, our publisher, Melange Books, LLC, will have the eBook available for free on Amazon from May 7-9! Today, I’m going to interview the delightful and accomplished Nancy Pennick! After a great career in teaching, Nancy found a second calling as a writer. Ohio is her home but she loves to travel the U.S. Her debut young adult novel, Waiting for Dusk, was a surprise to her as much as it was to her family. Watching a PBS series on National Parks, her mind wandered to another place and that is where the characters of Katie and Andrew were born. Call of the Canyon and Stealing Time continue their story. The Swedish influences found in the books came from her mother whose parents emigrated from Sweden. 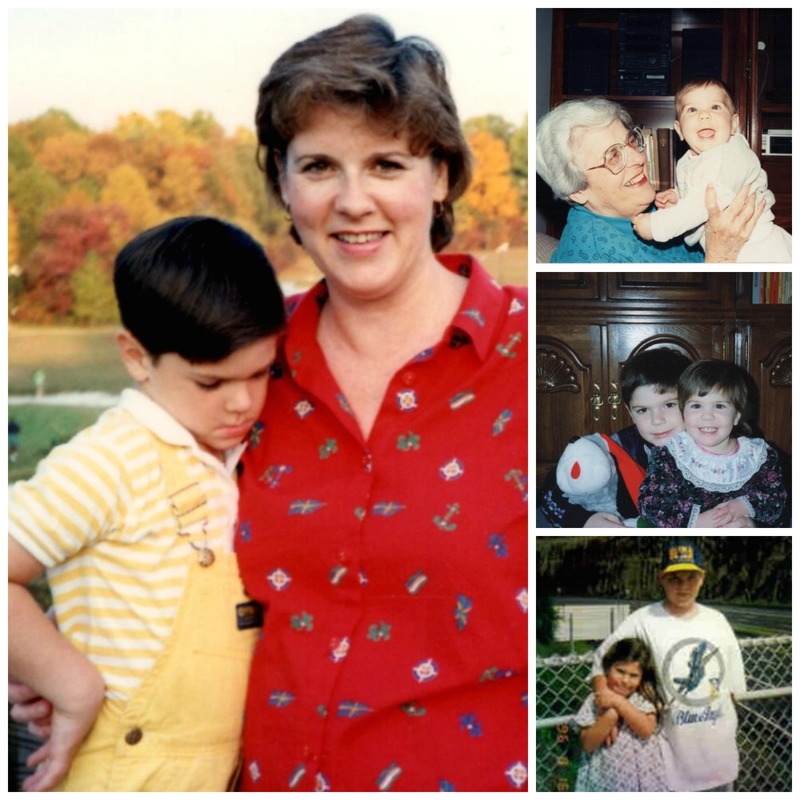 Born and raised in Northeast Ohio, Nancy currently resides in Mentor, Ohio with her husband and their college-age son. Kate placed her bag on its surface and slipped out her laptop, setting it in front of the chair. The computer looked a little out of place. “I have to make this desk feel like my own.” She switched on the desk lamp. The antique light had been restored to its full glory. The shelves behind the desk seemed like a good place to start. She turned to study the books behind her. I need something to keep my place as I go through the books. Maybe there’s a ruler in the desk. A loud thud caused Kate to jump. “What the—?” She took a step back and checked the room. “Who’s there?” She glanced around, looking for a clue. It’s nothing. Stop scaring yourself. She backed away from the desk and tripped over a hard object on the floor behind her, grabbing the side of the chair to catch her fall. Kate gazed down, spotting a book. “Did you fall off the shelf?” She reached down to pick up the hardback and set it on the desk. She shuddered as she read the title. The Works of Edgar Allan Poe. Katie: What is your very favorite part of the day? Nancy: My favorite part of the day is morning. The sun rises in my backyard, and I love how it shines through the trees. It gives the yard a mystical glow, and a great way to start the day of reading and writing. When the sun isn’t out? I hold a steaming cup of tea in my hands, enjoy the aroma and settle in for a morning of writing. Katie: You have to wear a t-shirt with one word on it for the rest of your life. Which word do you choose? Nancy: Dream. No matter how old you are, you should never give up on your dreams. Big or small, dreams come in all sizes. You don’t have to climb Mt. Everest, invent a new product or become a famous singer. You may want to learn to swim, drive the length of Highway 66 or start a cupcake business. When I started my career as a teacher, my mom bought me a fun mug to keep in the teacher’s lounge. It said, “Don’t let the turkeys get you down.” I’ve thought of that many times as I went through life. Yes, there will be obstacles, and you’ll want to give up. That’s the easy way out. My Waiting for Dusk series didn’t get published overnight. It took time and patience. I’m glad I didn’t stop dreaming. Katie: If you were to perform in the circus, what would you do? Nancy: Oh, that’s a good one. If I could perform in the circus, I’d pick something I could never do. I’d love to be one of those beautiful women in the colorful sequined costumes who ride and perform on those horses that continue to run around and around the circle. Katie: What will you do if you have a time machine? Nancy: Being a fan of Doctor Who, I know there are far-reaching wonderful places to visit. But, if I had a time machine, I’d travel to the Grand Canyon in 1927 to actually see it for myself. My main character in Waiting for Dusk wakes up in that time period, thinking it’s all a dream. She loves the people and the era. I’d love to see the fashion worn at the canyon, the food that was served and walk the grounds. Katie: What is something you cannot live without? Nancy: Chocolate. Because, what would the world be like without a little chocolate in it? Exclusive Author Interview with JT Adeline! This is the second in a series of interviews with fellow authors of the Second Chance for Love anthology. In honor of Mother’s Day, our publisher, Melange Books, LLC, will have the eBook available for free on Amazon from May 7-9! Today, I’m going to interview the engaging and gifted JT Adeline. After hearing this saying in the movie, Sister Act 2, it inspired JT Adeline to push herself forward and make her dream a reality. She is the author of A Day As Dark As Night, and A Day Without A Night, the first two books in The Dark As Night Trilogy. She is currently working on the third and final book to her trilogy; A Day Yet To Come. JT lives in Minnesota with her husband and two grown sons. If she is not writing, you can usually find her in her art room, spending time with family and friends, or outside with her beloved American Bulldog, Mylo. JT: Here is a paragraph from my story, A Day Without A Night (book 2 in the Dark As Night Trilogy) released in 2016, that made me sit back and scream YES! JT: My grandfather, Boppa, was the best storyteller. JT: I do not like being told what to do! Sometimes I have to literally bite my tongue to keep comments to myself. Katie: You have to wear a t-shirt with one word on it for the rest of your life. Which would you choose? JT: Brave-I have to remind myself not to be afraid to try new things. 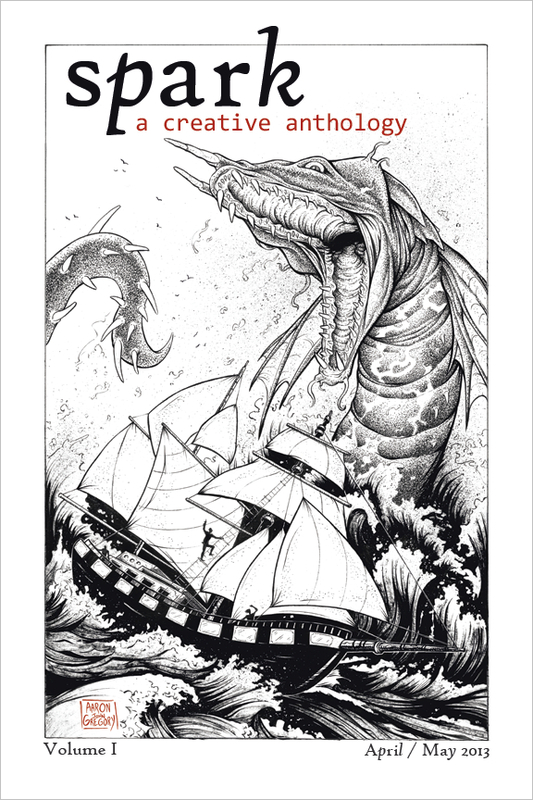 Exclusive Author Interview with D.G. Driver! This week, I will be posting interviews with the authors of the Second Chance for Love anthology. In honor of Mother’s Day, our publisher, Melange Books, LLC, will have the eBook available for free on Amazon from May 7-9! Today, I’m going to interview the lovely and talented D.G. Driver. D.G. Driver has been a published author for 21 years and is a member of SCBWI. She has a number of award-winning, critically acclaimed non-fiction books published as Donna Getzinger. She has three books published with Fire and Ice Young Adult Books: Cry of the Sea, Whisper of the Woods, and Passing Notes. In addition to writing, she is a teacher and loves performing in musicals. She lives in Nashville with her family. You can learn more about her from her website. D.G. : I like to find that spot in a novel I’m reading when the title pops up. I remember the episode of Family Guy where Peter Griffin says “There it is!” every time he hears a title in a movie, and I do the same thing. Well, I didn’t plan it intentionally, but here is that moment in Cry of the Sea, and it’s one of my favorite moments of the book, when Juniper is really distraught about the mermaids going missing and the mermaid mania going on down at the beaches from people who want to spot or catch a mermaid. “What’s your point?” Dad asked. It surprised me that he didn’t see the connection. D.G. : I actually do. My first and current husbands were both love at first sight. I met my daughter’s father at a wedding (while on a date with someone else – eek) and was immediately taken in by him. Even after all the ick between us, I still remember him that night. My now husband and I met while rehearsing a play. We were instantly attracted to each other, and we could barely keep our eyes off each other when backstage during performances. We got married 8 months later. Our story could have actually worked for the Second Chance for Love anthology. D.G. : Patient. Determined. Wishful. Persistent. Loving. Katie: If someone made a movie of your life would it be a drama, a comedy, a romantic-comedy, action film, or science fiction? D.G. : It would be a drama, I think. I’ve always thought if I got enough “fame” to write a memoir, I’d call it “The Call-Back Girl” for I’ve spent my whole life getting enough jobs as an actress and writer to validate that I’m on the right track but never getting the big parts or the fat publishing deal. When I was an actress in my teens and twenties, I had call-backs for some pretty cool roles in movies or TV but I never got the parts. As an author, I publish regularly but never get those juicy contracts with the advances and multi-book deals some of my friends get. Even in love I’ve had to go through a lot of trial and error before finally finding a guy I could stick with. So, yeah, a slow drama but with quirks and maybe some musical numbers – definitely an indie film. D.G. : I kind of wish I’d been born in time to be an actress/singer in the 40s and 50s. My singing style is a lot like Doris Day and Judy Garland. I love old, classic films and think I could have been right in there with Debbie Reynolds and Donna Reed. Katie: What punctuation mark best describes your personality? Why? D.G. : I’m definitely a semi-colon. I’ve done a lot of interesting stuff in my life, but I still have a lot more to do. So I’m not ready to put a full stop period on my sentence. D.G. : I miss the freedom. I was a child in the 70s/80s in a suburb of Southern California. It was idyllic in every way. We used to ride our bikes everywhere, for miles, without cell phones to let our moms even know where we were. We could catch a bus to the beach. There were parks everywhere with crazy, dangerous equipment on them that was fun to use. We had long recesses in elementary school. My high school had an open air quad where we enjoyed our lunches. My kids don’t know what that kind of freedom is like. I’m sad for them because the world has changed, we have to be so protective of them, and because cell phones, endless amount of TV channels, and video games have zapped their will to explore the world. D.G. : Oh, I hate games of all kinds. I’m an intense introvert, and playing games gets me so worked up inside I want to die. When people say “We’re having game night” I suddenly get the flu. And I hate failing at something in front of other people, so the competition inside me actually makes me heat up like I have a fever. I’m good at harmless card games that pass the time like “War” or “Crazy Eights” where there’s no real competition. I also like the board game “Othello” for the same reason. I should probably see a therapist about this.